OMAHA, Neb. (KMTV) -- — A new way to get around the metro is zooming into Omaha. Mayor Jean Stothert says they'll start a shared electric scooter pilot program in March. The stand-up scooters can be rented through a smart phone, can go 15 miles an hour, and don't have to be docked at a specific place. The city says it would enhance mobility for visitors and for people trying to get to work. Some residents say they’re excited. "Yeah I think it would be a good idea. It all comes in toleration and policies of how they're going to be ran and what to do with them,” said Dylan Lind of Omaha. "Hopping on one of those is just a really good alternative for people that don't want to be wasting their energy while trying to explore a beautiful city." 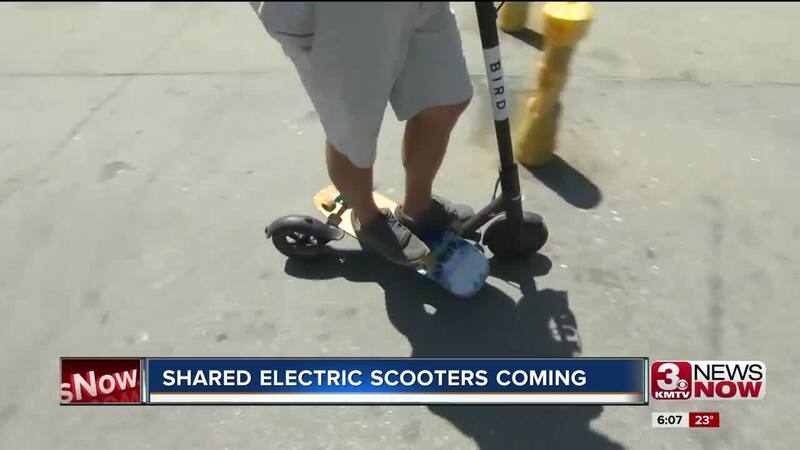 Some cities temporarily or completely banned the scooters because of safety and liability issues, and since some neighborhoods were being inundated with them. The mayor says they will be closely monitoring safety issues, complaints, and if they become a nuisance. "When we work with these companies that are doing the pilot we're going to ask them what their plan is so that's something we'll have to work out and get some results with the pilot. We don't want them dumped all over the place and in public right of ways or city parks," Mayor Stothert explained. They would charge for permits, and a fee for each scooter and per ride. The city says they may create shared scooter parking zones, and parking could be banned in designated areas. The pilot will last until mid-November.